Democrats in the U.S. House of Representatives are divided over the question of whether to impeach Republican President Donald Trump. But the question may be overtaken by the 2020 election, which will give voters - rather than lawmakers - the chance to decide whether Trump should stay or go. Democrats in Congress are divided over a momentous question: Whether investigations into President Donald Trump could or should prompt impeachment proceedings against the president. 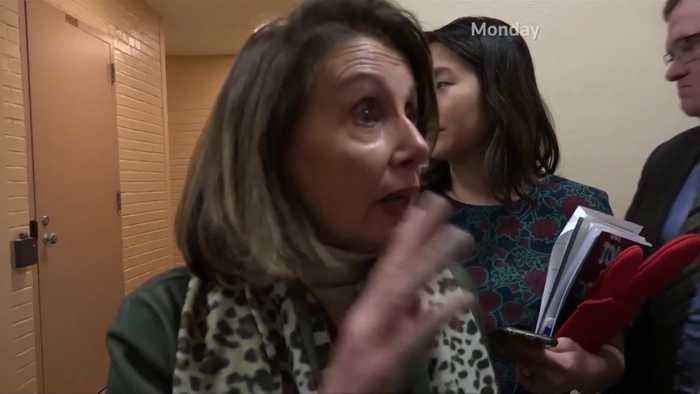 The most powerful Democrat in Washington, House Speaker Nancy Pelosi, on Monday shot down notions of impeachment, saying that effort would be divisive and unproductive. (SOUNDBITE) (English) U.S. HOUSE SPEAKER NANCY PELOSI, SAYING: "And that's why I say, impeachment, he's not worth it." BUT Democratic Representative Maxine Waters has long pushed the party to move toward impeachment, and on Monday laid out how it could begin. (SOUNDBITE) (English) U.S. DEMOCRATIC REPRESENTATIVE MAXINE WATERS, SAYING: "The impeachment is going to come together when you have a combination of the citizens who are absolutely demanding it, and you have some Republicans who can't take it anymore, and some of us who have the courage to do it." But with a countdown already underway toward the 2020 presidential election, the clock may ultimately determine whether impeachment is even plausible. Regardless whether or not the president may be guilty of what the U.S. Constitution terms the 'high crimes and misdemeanors' which merit impeachment, some Democratic and Republican lawmakers tell Reuters there's an emerging sentiment that the approaching election means voters, not lawmakers, should decide if Trump stays or goes. 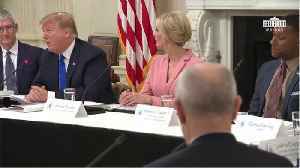 (SOUNDBITE) (English) U.S. PRESIDENT DONALD TRUMP SAYING (SEPTEMBER 6, 2018): "They like to use the impeach word. We will impeach him." (SOUNDBITE) (English) THE CLERK OF THE HOUSE, PAUL HAYS, SAYING (DECEMBER 20, 1998): "A resolution impeaching William Jefferson Clinton, the President of the United States, for high crimes and misdemeanors." Republicans in the U.S. House of Representatives voted to impeach Democratic President Bill Clinton in 1997. The Senate acquitted Clinton, and he remained in office. That impeachment process took nearly five months. If the Democratically-controlled House votes to impeach Trump, the matter then moves to the Republican-controlled Senate, which decides whether to remove the president from office, and at this point seems unlikely to do so. (SOUNDBITE) (English) U.S. PRESIDENT DONALD TRUMP SAYING (SEPTEMBER 6, 2018): "But I say 'how do you impeach somebody that's doing a great job?" One wild card: Special Council Robert Mueller is expected to deliver his report on alleged Russian interference in the 2016 election to Attorney General William Barr. Depending on what that report says about Trump, his campaign, and whether he conspired with a foreign power to win the presidency or tried to obstruct the investigation, Democrats may find popular - and even some Republican - support to remove the Executive from Office. The White House has long maintained that the president has done nothing wrong. A momentous question hanging over Washington is whether investigations into President Donald Trump will prompt the U.S. Congress to try to remove him from office through the impeachment process set out..